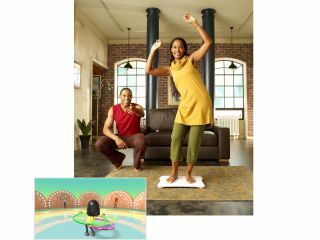 Sony's EyeToy developers have gone on record to outline what they see as the key problems with Nintendo's Wii and Microsoft's Xbox Live Vision camera. In particular, the EyeToy team criticised the "unreliable technology" used in Microsoft's latest XBL Vision cam offering You're In The Movies. EyeToy designer, Sandy Spangler, told GamesIndustry.biz: "I think that [with You're In the Movies] they're probably going to have some technical difficulties to wrestle with. "They're using some technical elements that are not reliable, at least not according to our experience. They're using background subtraction to put you in the movie, and it's not very robust, that's why we haven't done it in any of our games. If the white shifts in the room or something, it can stop working." "More intuitive, it's very clear, as opposed to trying to figure out how to... use the Wii remote in ways that maybe naturally don't make sense - you wave it a lot to do activities where you wouldn't be waving in real life." "Whereas what we always try and do with our games is make a direct correlation between the motion that you're doing and the action on screen, the effect you're having on the game."